Travelogue: The Ultimate To-Do Guide at First World Hotel, Genting Highlands! 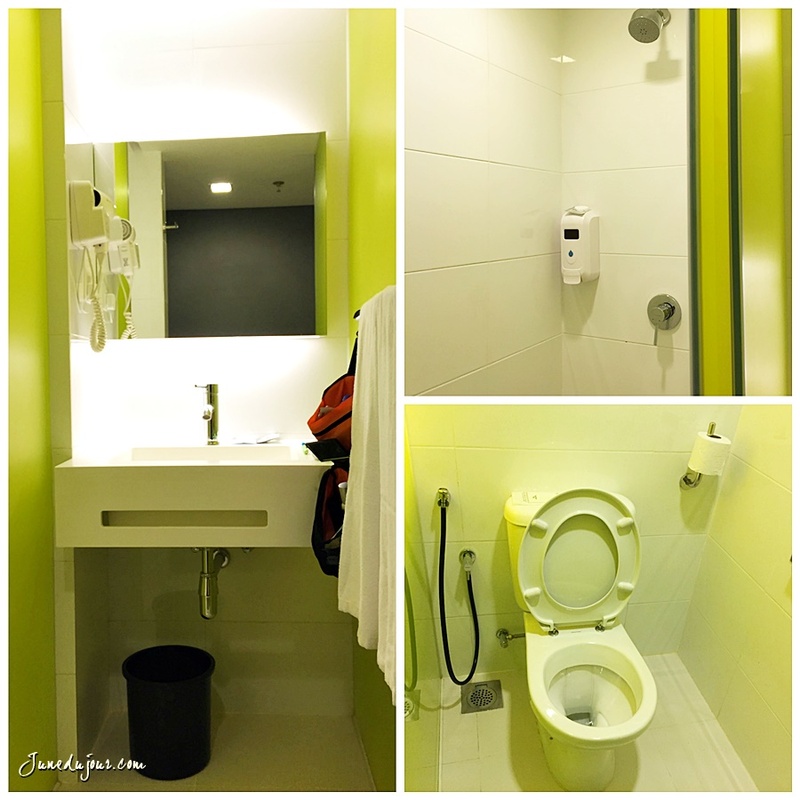 I've long heard about First World Hotel as the choice place to stay from friends travelling. Its affordable, and in the heart of where the entertainment happens. 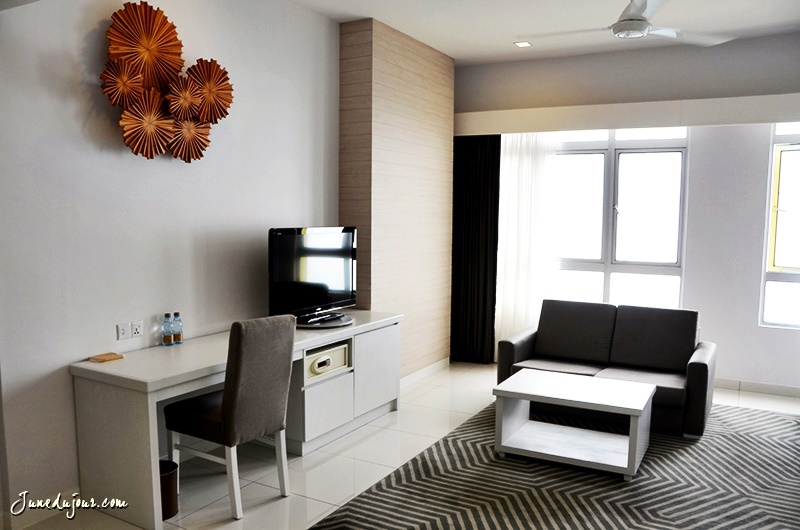 Perched ontop of mountain, the place offers you a bird's eye view of Malaysian nature like no other. 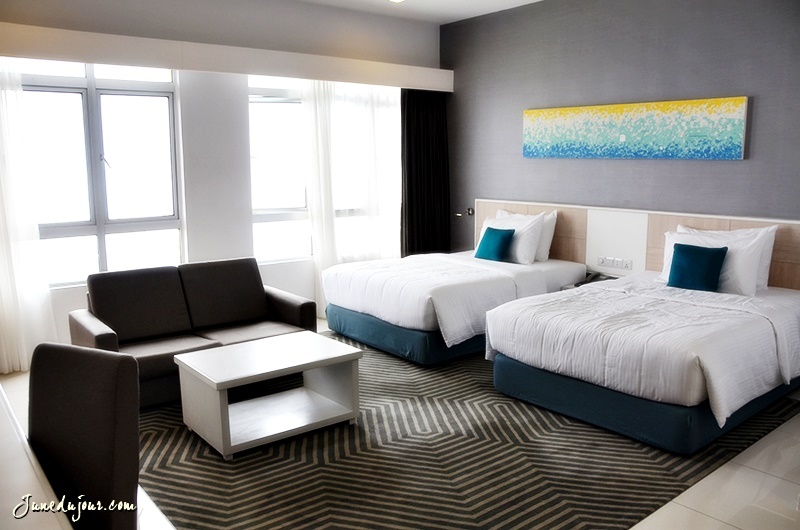 We were allocated the XYZ Deluxe Room at the new Tower 2A, an extension wing that made First World the largest hotel in Malaysia and in the WORLD, with its whopping 7,351 room count! The XYZ Deluxe room is a fresh new revamp from the dated designs of its predecessor. The room looks contemporary and cozy with its vibrant colored accents, and the clever play of space.You'll notice that since Genting Highlands is already cold to begin with, there is no need for aircon, so just flip the fan switch if you want a cooler temperature (plus its more healthy and well-ventilated this way). Should you have more baggage than the humble hand carry luggage we had, I would suggest that you opt for their larger room World Club Room suite, which I think makes for an idyllic honeymoon suite. Gorgeous much? Waking up later than expected (typical of us bedslugs), Ben and I quickly popped down to the cafe just below our block for a quick bite. 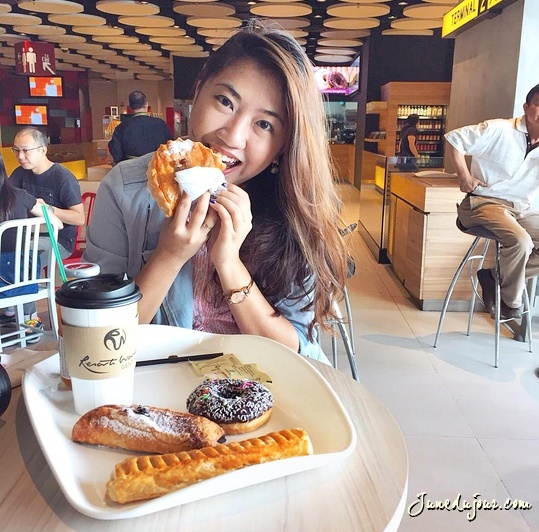 They have a surprisingly good and wide variety of pastries, and a decent selection of drinks as well. If you want a more substantial meal, you can order also order Nasi Lemak which seemed to be a popular dish for most people dining there. For the rest of our group who had the patience to wait till lunch, were rewarded with a luxurious buffet experience. 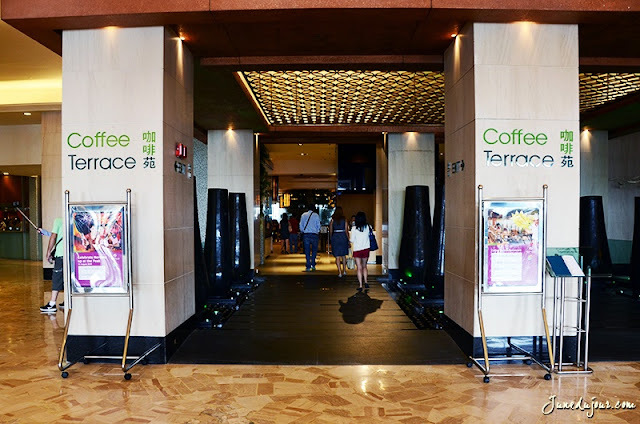 The Coffee Terrace serves up a multitude of cuisines that will probably leave you wracking your mind on where to start. 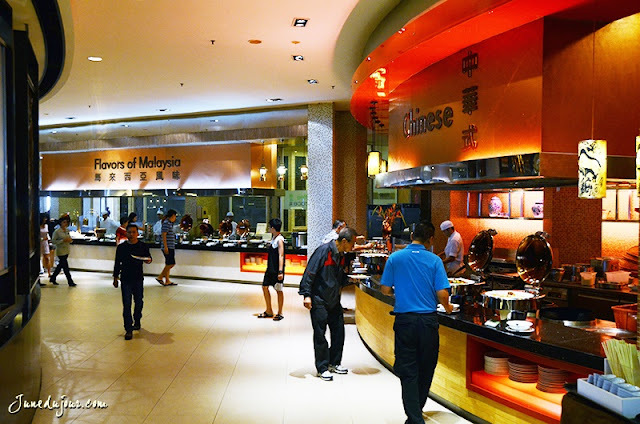 Ranging from the local tastes at the "Flavors of Malaysia" (they even have local street favourite Lok Lok), to savoury choices at the Chinese, Western, Japanese booths, and more! My picks would be to make a beeline for the tender lamb shanks and fried chicken wing; both had me going back for seconds and thirds! There is also a large variety of fresh salad that will surely appeal to the health- conscious. The Coffee Terrace also serves a wicked selection of desserts that I'm sure will tantalize that sweet tooth of yours. Don't miss out on their gushing chocolate fountains as well their dainty pastries. I especially loved the chendol but felt that the rainbow cake was rather underwhelming although pretty to look at. If you ever wanted to find out about the inner workings of a hotel like I did, then you can opt for the Behind the Scenes tour! I had actually briefly considered joining the hospitality studies after graduating from Secondary School, and so this piqued my interest. First stop; the auditorium, which is colossal enough to accommodate up to 3,000 people standing! The lighting control team showed us how the larger-than-life analog controls which control the special effects that you see presented to you. 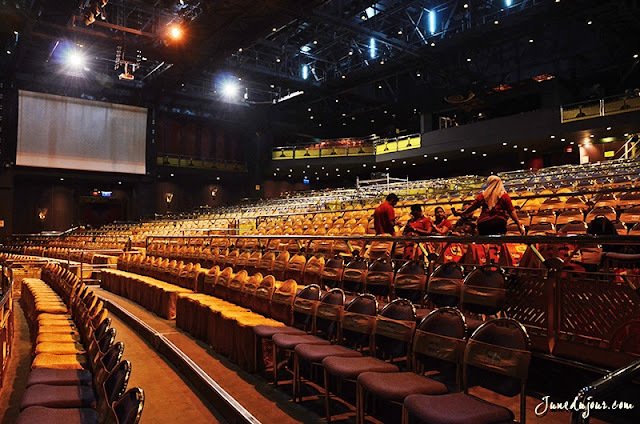 First World Hotel's Genting International Showroom actually houses for some of the regional's best-selling concerts and performances; hence having the latest sound and lighting system is essential. 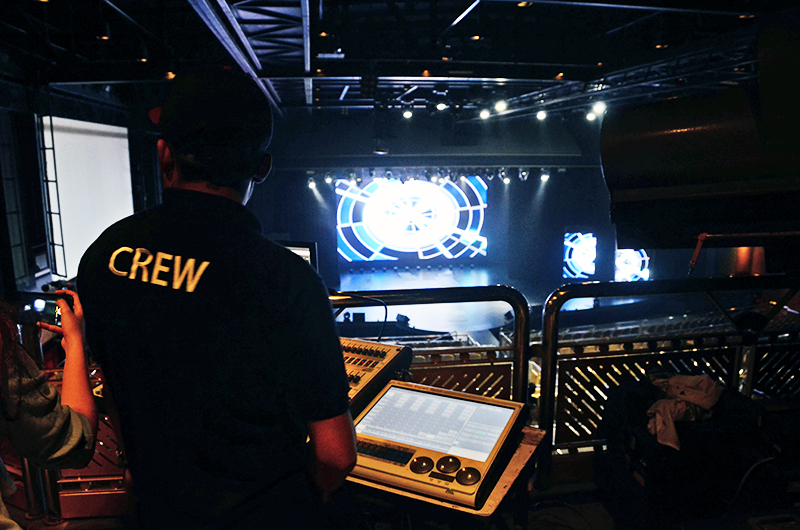 From misty effects to laser lighting, the crew creates that special experience with the right settings. Further down stations the sound control area, where I learnt some cool facts: did you know that for a drum set performance you will need at least 6 microphones? 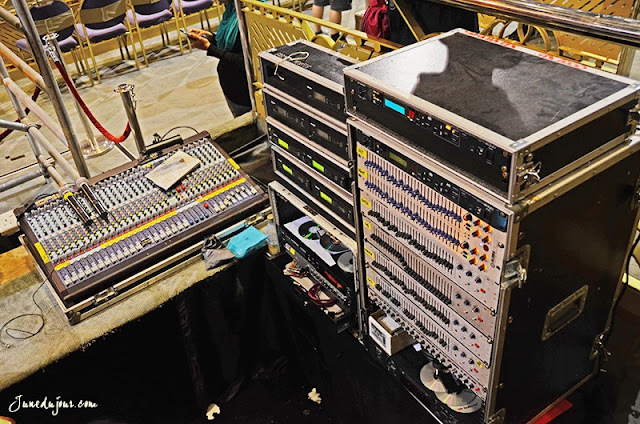 Because of the popularity of concerts held here, the heavy-duty amplifier rack actually needs an entire room to cool down. 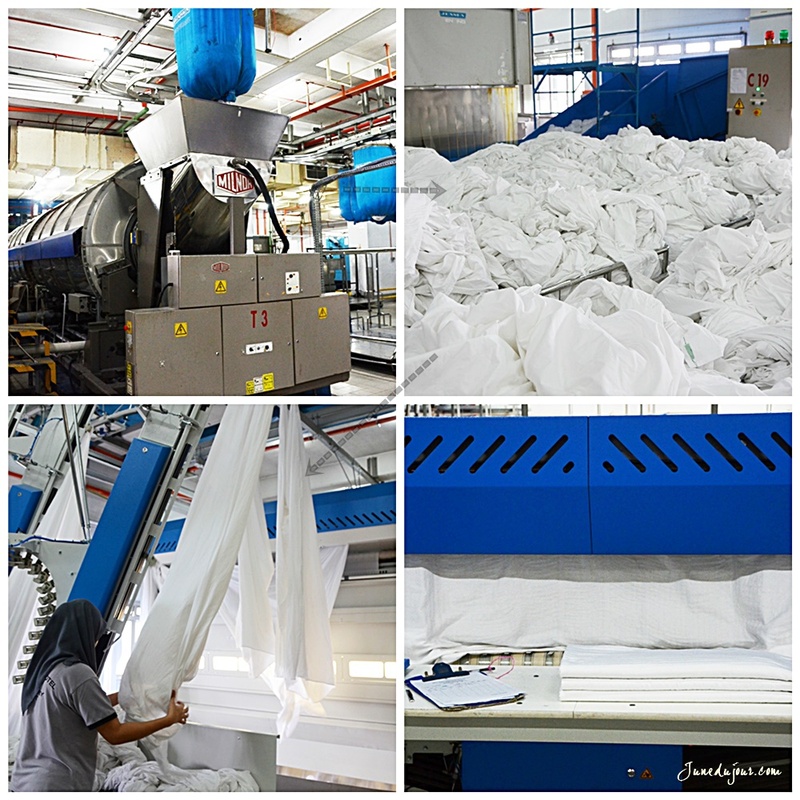 Putting most claims of hotel hygiene to rest, our next stop saw us at the laundry department; which currently holds the Guinness book of records' title as being the largest laundry service in Malaysia! It washes up to 38 tons of fabrics daily! Yes, this is the mega-sized washing machine in question. I reckon it should fit about 4-5 without a problem! I actually found the entire lineup fascinating; from the machinery setup to the clockwork efficiency of the workers...everything just fell in place seamlessly. It starts with large quantities of laundry packaged and dropped into be washed (video above) , before being sorted to be freshly pressed and folded neatly.Well with a housing capacity of over 7,000 guests and a never ending influx of new-comers, I guess there no other better way than this! Time for the hands on part of the tour: See, Do & Eat Workshop! I fretted about this because well, you know I'm not exactly good with my hands. 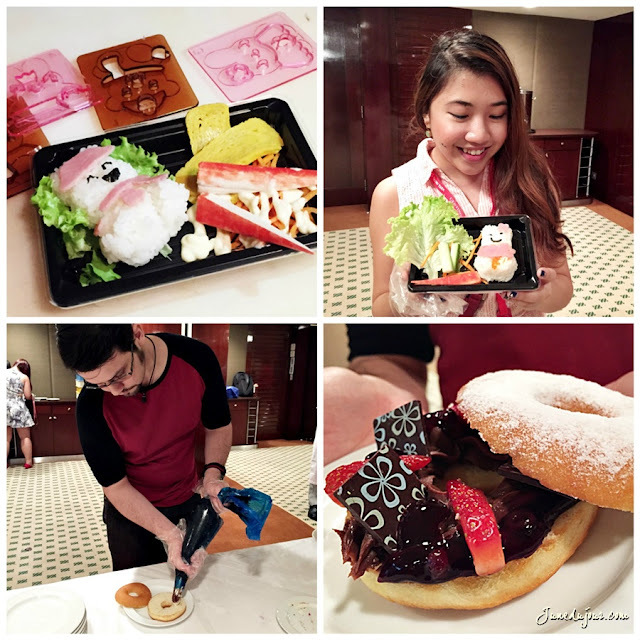 You can choose between designing your own bento or a donut; so Ben and I tried either. If you aren't as artistically inclined, go for the sushi (they have templates and food stencils). Look how pretty is Ben's donut masterpiece! 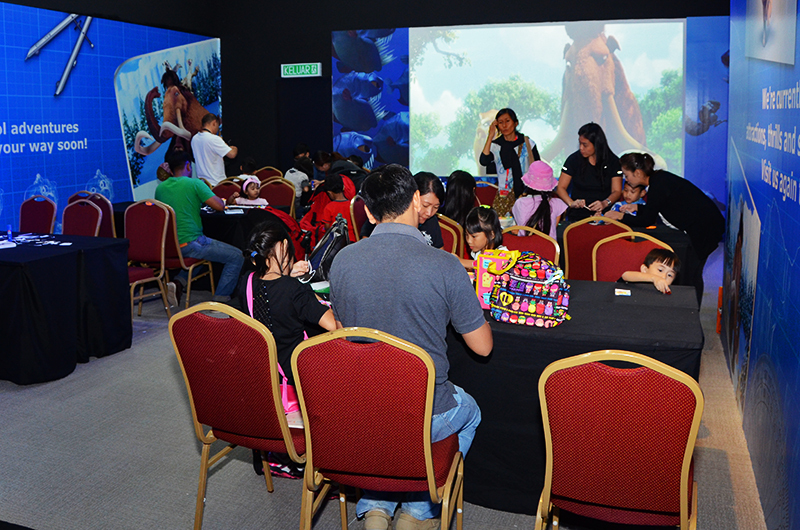 We took a breather at Horizon 50, an interactive galleria where visitors have first-hand peeks at the future 20th Century Fox World, the highly anticipated theme park extravaganza that will be built within the hotel premises. 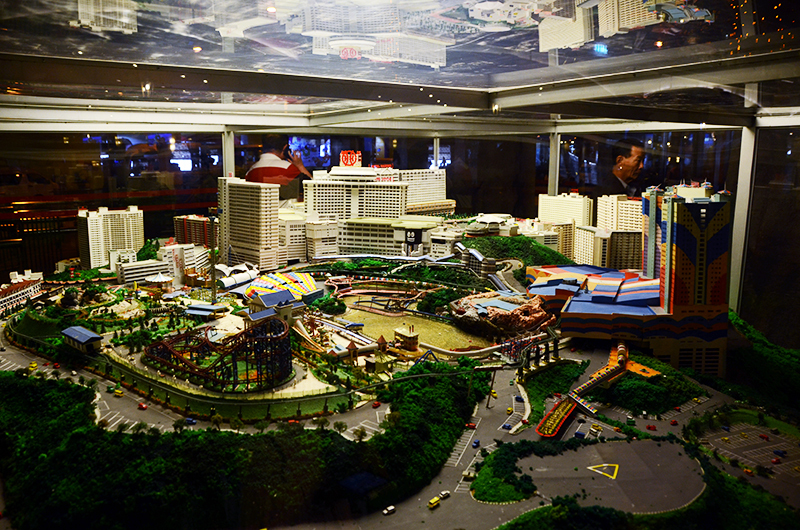 Currently, you can visit it to learn more about the history of First World, to the exciting new plans in store. There are fringe activities available for kids, and if you are lucky enough...you'll also get a surprise visit or two! There is no more fitting way to end our day than to celebrate with Dinner! 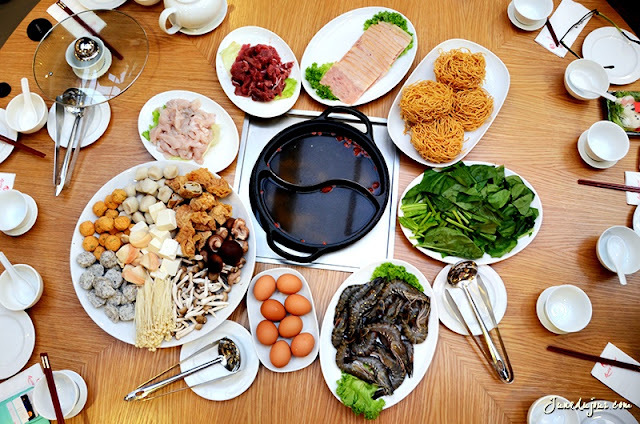 Here we are at Resort Seafood Steamboat, a cozy family restaurant that offers some of the freshest marine picks straight out of their aquariums. We settled for their signature seafood package, which I'm told their aromatic soup choices are half the winning aspect of their steamboat meal. At about 400+RM for a 8 person meal (although it could feed more), I think its great bang for your buck. You'll get everything from the tiger prawns,various mushroom types and beef and even tender ostrich meat (yes, you heard me right!) We choose a TomYum and herbal chicken soup base for cooking,and the ingredients overall tasted fresh and the servings were really quite generous, trust me, we could barely roll off our seats to move to the next activity. Of course, what's a gastronomical meal without dessert? 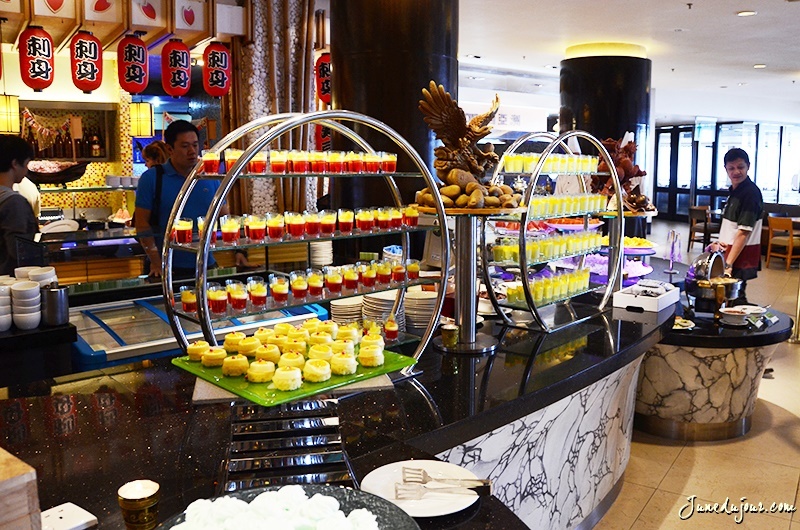 If your stomach permits, you must try the "ice-cream steamboat dessert"! Served up with fresh grapes, jackfruits and other fruits adorning in a steamboat carrier, it was as delish as it looks! 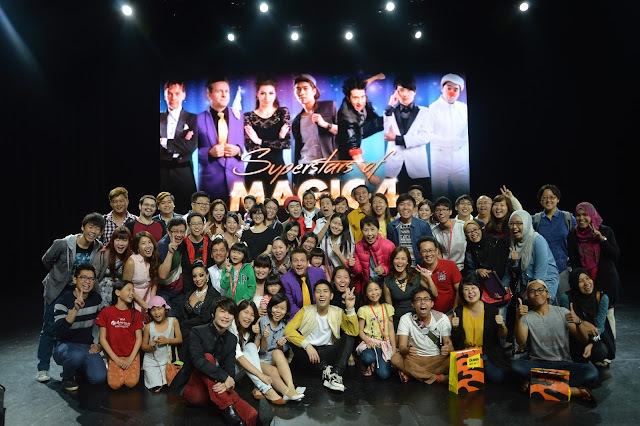 At least, time for the highlight of the trip that everyone was looking forward to: the Superstars of Magic Show. I'll admit, I've always been a sucker for magic shows...I'm one of those Kid-ult's that still believe in the extraordinary. While we were not allowed to shoot during the performance, I can say that you'll be greatly entertained with the plethora of magic talents...from your classical card and bird tricks to innovative slide-of-hand paired with state of the art projections.My fave of the whole line up hands down was Shawn Facquhar, whose simple card trick in the rhythm of Sting's Shape of my Heart just blew my mind! Thank you for the MAGICAL evening! Since the night ended early, the bunch of us night owls decided to do some last minute mad rush shopping at the First World Plaza, which is actually located within the hotel premises. 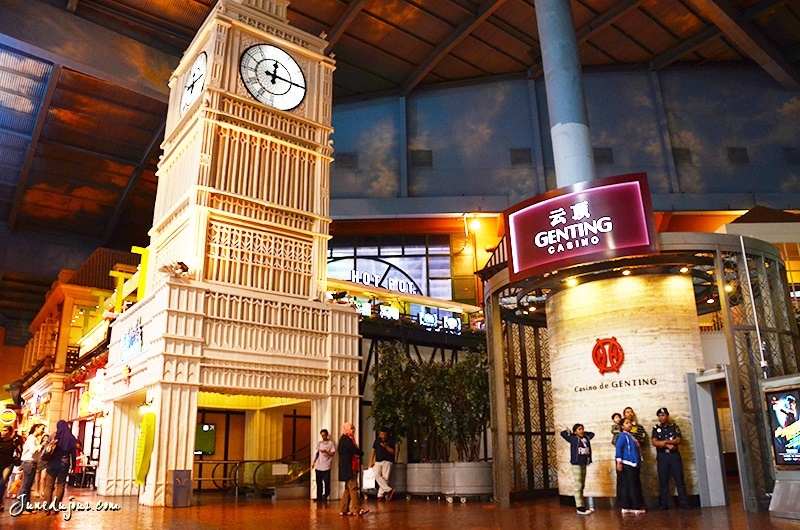 It was like stepping into another fantastic world, you could see towering indoor kiddy rides, famous landmark replicas, and a large selection of shops to explore. The next day was a bittersweet one, as I took in the last sight of the gorgeous Genting landscape while sipping my morning tea. Albeit a short trip, I can see why people wax lyricals about this place; and made even better, conveniently with attractions all in one place! A big thank you to Resorts World Genting for making my virgin trip a memorable one. I can't wait to come back again to explore all of this Highland paradise has to offer. 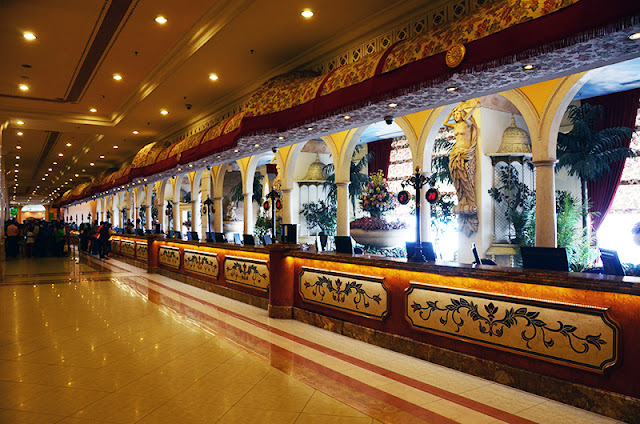 First World Hotel is located 69000 Genting Highlands, Pahang, Malaysia. Lưu Phong trầm mặc thật lâu, vấn đề này rất khó trả lời… phải nói là căn bản không có biện pháp trả lời. Nếu nói năm đó suy đoán của Lưu Phong là dựa trên dự đoán lịch sử trong tương lai. Thì hôm nay hắn chắc chắn là dựa vào bản thân, không ai có thể rõ ràng hơn hắn, vị Hoàng Thái Tôn hiện nay là giả mạo. Sớm muộn chuyện này cũng công bố khắp thiên hạ, cái gì của Chu Phong cũng sẽ thuộc về Chu Phong mà thôi. 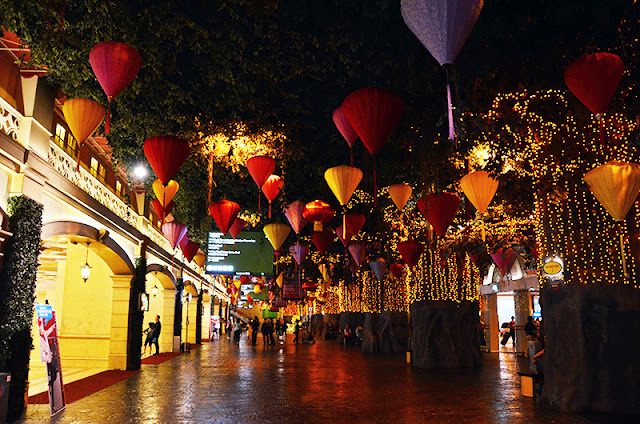 Lý do là như thế, nhưng không thể nói ra cho Tần Thủy Dao được. Yên lặng nhìn Lưu Phong không nói gì, Tần Thủy Dao thở dài, lắc đầu: “Phong nhi, ngươi biết không, vì muốn cho Hoàng Thái Tôn đăng ngôi hoàng đế, sư môn đã tốn hao vài chục năm thời gian, đại kiếp sắp buông xuống, chúng ta căn bản không có thể quay đầu trở lại, ngươi có biết không?”. Lưu Phong vẫn còn chưa mở miệng. Lưu Phong vẫn không nói gì. “Đại sư tôn, Cẩm Y Vệ vĩnh viễn thuần phục bệ hạ, ta vô pháp ảnh hưởng bọn họ”. Lưu Phong rốt cuộc cũng mở miệng, hắn thấp giọng nói: “Có một số việc kỳ thật đơn giản không phải như sư tôn nghĩ đâu, chuyện của ta và Đông cung tuyệt đối không đơn giản là ân oán cá nhân. Đại sư tôn, xin người tin tưởng ta, bất kể như thế nào ta cũng không làm chuyện gây bất lợi cho lợi ích của sư môn. Hey, was wondering if the XYZ deluxe rooms need to line up with the people that booked the normal rooms? Is there any special queue for the XYZ deluxe rooms people who booked them? Or we must line up for few hours to check in? Thanks.